We are gearing up for the October 7th concert at Shinjuku and here is a photo from the studio rehearsal today. October 7th Saturday, at Shinjuku MegaRock. Please come and see us! Our “Jesus Wind” crowdfunding is now funded 90%. I have not expected we would come this far. We are very thankful and we don’t know what to say. 1 week left and if you see it reach 100%, now is the time to help us! Also here is the detail of the concert on October 7th. Previous PostNow 74% Thank you for your support!! Next PostWe made it! 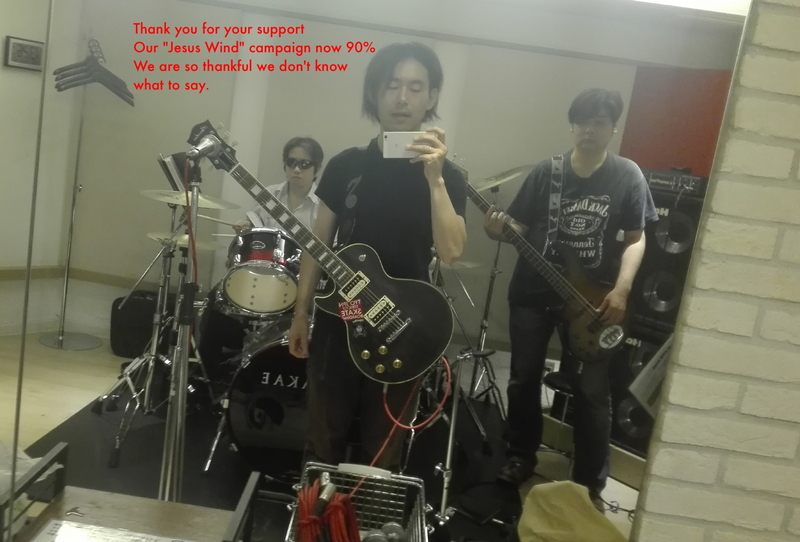 “Jesus Wind” campaign now 100% Thank you for your support!